Hello friends! What’s up? My tenants are Indian. The couple is very lively, social, they relish American food and vice-versa. They had to attend their relative’s wedding in India and invited me too. I did not want to miss this chance, so I packed my bags along with them. The trip was for a week. The marriage ceremony was in Rajasthan. Luckily I got an opportunity to attend the Desert festival of Jaisalmer as well. Rajasthan is a tourist place. 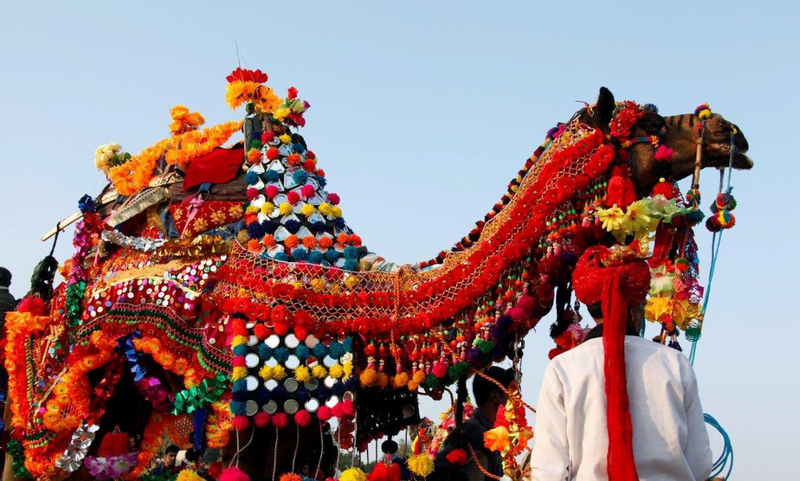 The rich culture and heritage is well portrayed by the royal palaces, serene lakes, golden desert full of camels, ornaments, traditional clothes, food and ofcourse the people out there. I would definitely love to share the flavors of India with you. The first recipe is red meat called Laal Maans in Hindi. Laal means red and maans means meat. 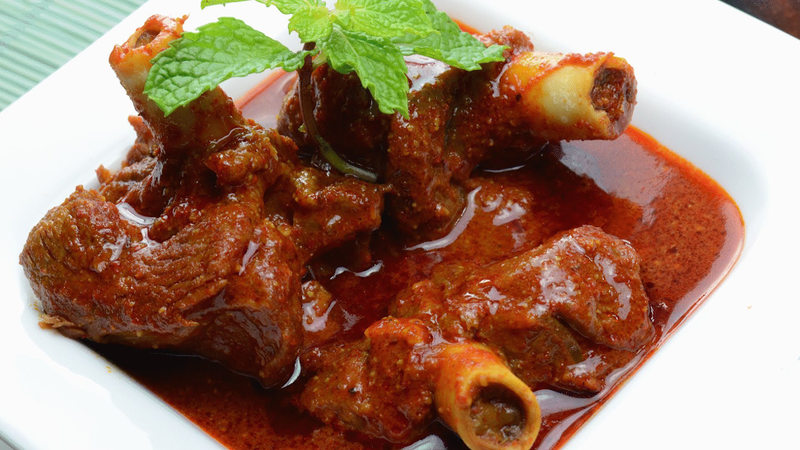 This is an extra spicy mutton curry, that is prepared in curd and hot spices chiefly red chillies. I thoroughly enjoyed the traditional recipes of Rajasthan on the wedding. Best served with rice or Bajra roti/puri (Millet Tortillas), this is an excellent dinner or lunch recipe for all. There’s a lot more to share especially the experience of desert festival, so stay tuned. 2 teaspoons Red Chili Powder. Take a wok and add cooking oil. When hot, add chopped onions and fry them until golden brown. Add the garlic and ginger paste. Cook for 15 minutes. Add mutton and let it cook for another 35 minutes. Now add bay leaves, black pepper, chili powder, black cardamom, turmeric powder and beaten curd. Add salt to taste. Cook until the spices are well cooked and mixed. Add tomato paste. Cook on low for 30 minutes. When ready, remove the meat from the fire. Garnish with mint/coriander leaves just as shown. Serve hot! Oh, my mouth is watering just reading this! I love India food but since I moved from England to Italy, the only India food I get, is what I rustle up! So, I’ll definitely try this one! Thanks for sharing! Yes, the ingredients I’ve used are available everywhere. You can definitely give a way to your cravings. What an amazing opportunity! This dish looks rich and delicious! Hi Ema, thanks for liking my post on Cherry Berry Friands. They really look and taste fabulous but are really incredibly easy to make! Do give it a go, you won’t be disappointed. I’m loving your post about your trip to Rajasthan – Indian weddings are a blast aren’t they! We loved Jaisalmer too, did you get to go on a camel trek? This Lal Maas recipe looks great, rich, red and hot, just the way I like ’em. Hey Mims, how are you doing? Thanks a lot for writing so much. I find your blogs very crisp. Trip to Rajasthan was awesome and yeah, I enjoyed camel trek.